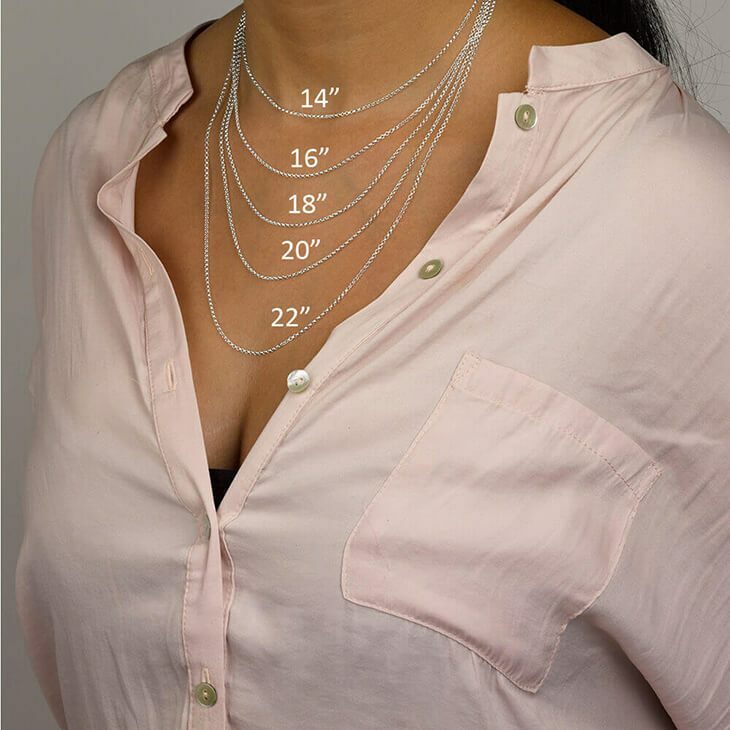 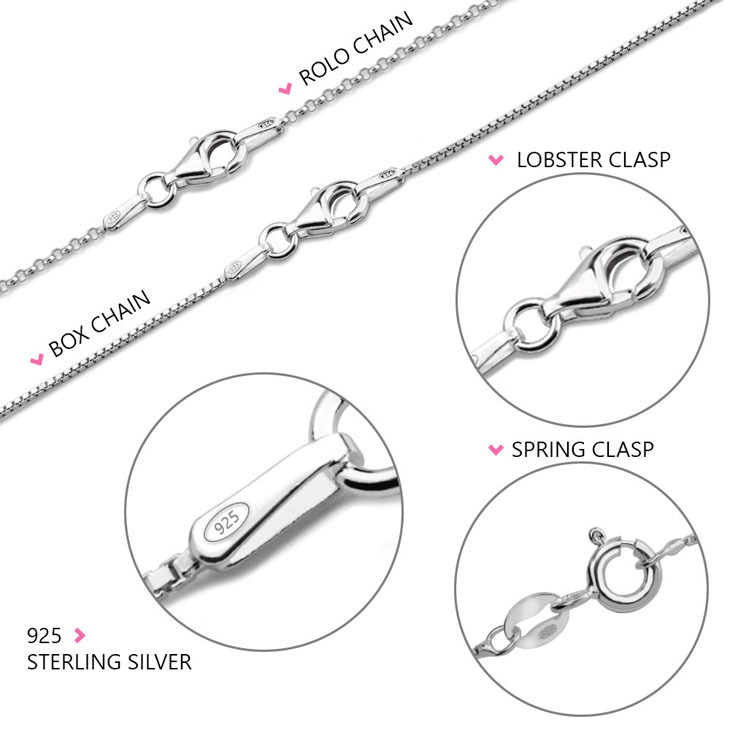 Purchase this stunning sterling silver necklace composed of a circle pendant engraved with the meaningful words, "You are the Love of My Life" and a vertical engraved bar pendant. 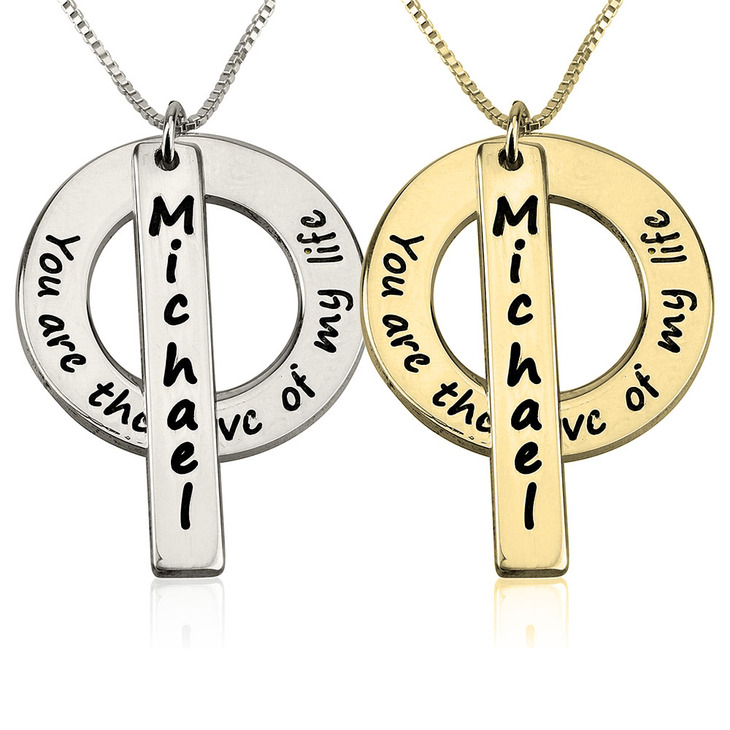 Engrave the bar pendant with the name of a child, girlfriend, or wife to create a necklace that is truly heartfelt. 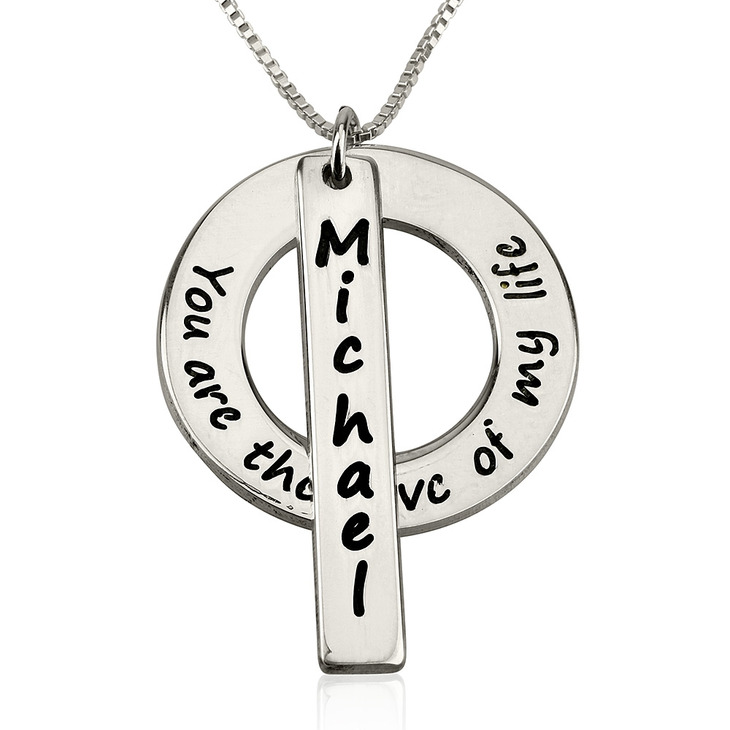 You will always be reminded of the person most closest to you when wearing this necklace personalised just for you.